Riku Heikki Rautsola is the Chief Executive Officer and President, CordenPharma starting December 2017, and currently acts as Managing Director, CordenPharma Plankstadt. Riku has an extensive global executive career spanning over 30 years in life science companies with broad functions and increasing responsibilities along the entire biopharmaceutical value chain. Riku brings deep and proven knowledge, experience and track record to CordenPharma. His prior experience consists of high level executive and supervisory board level positions within large global companies as well as within medium and small-sized innovative corporations. On several occasions Riku has been an interim executive for CordenPharma, initiating significant and valuable progress for the group. Riku Heikki Rautsola, born in Tampere, Finland, holds a Ph.D. in Health Economics from Ludwig-Maximilians-University of Munich. He is a holder of several applicational patents and awards for his internationally recognized achievements. Riku Heikki Rautsola is the Chief Executive Officer and President, CordenPharma starting December 2017. Riku has an extensive global executive career spanning over 30 years in life science companies with broad functions and increasing responsibilities along the entire biopharmaceutical value chain. Riku brings deep and proven knowledge, experience and track record to CordenPharma. His prior experience consists of high level executive and supervisory board level positions within large global companies as well as within medium and small-sized innovative corporations. On several occasions Riku has been an interim executive for CordenPharma, initiating significant and valuable progress for the group. Riku Heikki Rautsola, born in Tampere, Finland, holds a Ph.D. in Health Economics from Ludwig-Maximilians-University of Munich. He is a holder of several applicational patents and awards for his internationally recognized achievements. Jan Braes joined CordenPharma as Managing Director, CordenPharma Brussels in November 2018 with over 25 years of experience in various positions of increasing responsibly from several chemical industries surrounding the production of feed, food, APIs and related chemicals & intermediates. As a General Manger with considerable expertise in Change Management, he led various production sites and organizations through the process of successful mergers and the implementation of Operational Excellence. He worked for international companies such as DOW, Allied Signal, and Reilly Chemicals, and managed several fast growing and successful Belgium SMEs. As an Analytical Chemical Engineer, he complemented his studies with additional courses such as Six Sigma Black Belt for Services & Industries and Mastering Interim Management from the Vlerick Business School in Ghent, Belgium. Yves Michon joined CordenPharma in January 2011 as Managing Director, CordenPharma Chenôve (FR) and ad interim for CordenPharma Brussels (BE). Yves brings 30 years of experience in the manufacturing and business of Fine Chemicals and APIs with expertise in Production, Continuous Improvement, Project Management and General Management of CMOs. He holds a Master of Science Degree in Process Control & Engineering from ECAM Graduate School of Engineering in Lyon, France. Dr. Juerg Burger joined CordenPharma in 2013 as the Managing Director, CordenPharma Switzerland (CH). Prior to joining CordenPharma, Dr. Burger garnered extensive operations management experience over 27 years in various roles at Lonza AG (CH and Hopkinton, US) including Head of Manufacturing Business Sector Exclusive Synthesis, Head of Manufacturing Operations for Pharmaceuticals (small molecules) and later Microbial Fermentations, and most recently Head Business Unit of Global Microbial Operations, VP of Supply Chain and VP of Head Site Services. Dr. Burger earned a PhD and Master Degree in Chemical Engineering from the Swiss Federal Institute of Technology in Zurich (CH). Dr. Matthieu Giraud joined CordenPharma in 2017 as Director, Global Peptides, Lipids & Carbohydrates Platform, CordenPharma International. 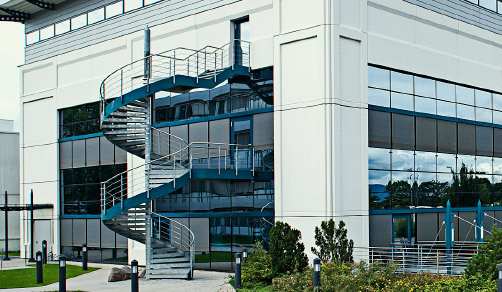 Prior to joining CordenPharma Matthieu held various senior positions in the CMO business, with >10 years of experience in increasingly senior roles, culminating as the Director, Head of R&D Peptides and Oligonucleotides at Lonza (CH), then Head of API production at BASF Pharma (CH), API Site Manager at BASF Pharma (FR), and finally Key Account Manager for Siegfried (CH). Matthieu has a Ph.D. in peptide chemistry from the University of Montpellier (FR), where he conducted research in the group of Prof. J. Martinez, jointly with Osaka University in the group of Prof. Shimonishi. Laura Coppi joined CordenPharma in October 2013 as Managing Director, CordenPharma Bergamo (IT) after more than 20 years of experience in various management positions in the pharmaceutical chemical industry. Laura began her career in Process R&D at Zambon Group in 1988. In 1992 her professional pathway shifted toward business and management as Technical Marketing Manager, EAME Generic Sales Manager and Worldwide Contract Manufacturing Manager at Zambon. In 1998 Laura came to the USA to work for Davos Chemical Corporation as Technical Marketing and Key Account Manager. In 1998, Laura went back to Europe and worked for 9 years at the Spanish private group Esteve as R&D and IP Director (Esteve Quimica) and General Manager (Pensa Pharma in Milan). In 2007, Laura joined Wyeth Pharmaceuticals’ New Product and Process Development division as Sr. Director of API Technical Operations, followed by positions as Managing Director of Archimica Srl and Marketing and Sales Director of F.I.S. As an Organic Chemist of the University of Florence, Specialist in Synthetic Organic Chemistry of the University of Milan and author of several publications and patents, Laura complemented her scientific education with a diploma in Marketing from Bocconi University in Milan and a PDG from Iese in Barcelona. Frank Haehner joined CordenPharma in 2016 as Managing Director, CordenPharma Plankstadt, (DE). He has more than 25 years of experience in the pharmaceutical industry in various executive roles. Prior to joining CordenPharma Frank worked at Novartis, where he served as Head of Technology & Investment Portfolio Management, Head of Engineering Biologics, Technical Development and Manufacturing, as well as Project Director of BioInject, a new biopharmaceutical manufacturing facility. Prior to that, Frank held senior roles at B.Braun Melsungen AG as Head of Technical Development, Vice President Special Projects (US) and Project Director for a new green field Pharma Factory. During his relationship with io-consultants, Heidelberg, Frank was Senior Business Unit Manager, Pharma and a member of the supervisory board of io-consultants China. Frank graduated with a degree in Process Engineering and Chemical Engineering from the Technical University of Kaiserslautern, Germany, where we went on to receive his PhD in Process Engineering. Dr. Stephen Houldsworth joined CordenPharma in 2017 as Director, Global Small Molecules & Antibiotics Platforms, CordenPharma International. Prior to joining CordenPharma Stephen held various senior positions in R&D, Manufacturing, Operations, Business Development and Sales in Dalton Pharma Services and most recently Apotex Pharmachem. Stephen has a Ph.D. in organic chemistry from the University of Nottingham (UK) where he conducted research in the group of Prof. G. Pattenden, followed by a postdoctoral stay in the group of V. Snieckus at the University of Waterloo (CA). Heiko Serwe joined CordenPharma as Chief Financial Officer in May 2018 from the industrial holding company ADCURAM Group, where he worked as Commercial Director and CFO for a number of portfolio companies, and took over an important role during several M&A transactions. Prior to that Heiko held various positions of increasing responsibility at the pharmaceutical primary packaging manufacturer Gerresheimer, culminating as CFO of the Tubular Glass business unit. Heiko is a German citizen with a degree in Mechanical Engineering from the University of Hannover, DE and a degree in Economics from the University of Hagen, DE. Starting May 2018, Eng. Alessandro Zucconi joined CordenPharma as Managing Director, CordenPharma Latina (IT). Alessandro has more than 30 years of experience in various management positions of increasing responsibility within different industrials sectors, mainly the automotive business, gained in both domestic (Italian) and International markets, and 20 years of experience as a CEO. After graduating with a degree in Mechanical Engineering from the University of Pisa (IT), Alessandro complemented his scientific education with a Business Master degree in Enterprise Strategy from Bocconi University in Milano (IT), and a Master in Business Coaching Certification ICF from IN Coach Academy in Milano (IT). Fabrizio Fiordigiglio joined CordenPharma in November 2017 as Managing Director, CordenPharma Caponago (IT) after more than 30 years of experience in different management positions in the chemical and pharmaceutical industry. After graduating as a Chemical Engineer from the Milan Politecnico University, Fabrizio began his career as Chemical Project Manager in Lamberti Group in 1985. In 1989 he joined Akzo Nobel Chemicals with increasing responsibility until taking the role as Site Manager for one of the Italian production sites. In 1999 he joined the CDMO API manufacturing company UQUIFA as General Manager and later on became the Managing Director for the Italian manufacturing subsidiary. In 2012 he joined the CDMO Tubilux Pharma, located near Rome, as General Manager active in the aseptic filling ophthalmic business. Patrice Locht joined CordenPharma in 2016 as the Managing Director, CordenPharma Brussels (BE). Patrice started his career with several operational roles of increasing responsibility in diversified industries including catalytic systems (Johnson Matthey), detergents and power cables (Nexans) before moving to the genomics and diagnostic GMP grade components business as a Production Manager. Patrice holds a Master degree in Applied Sciences and an International Executive Master of Business Administration degree from the University of Louvain (Belgium). Brian McCudden joined CordenPharma as Managing Director, CordenPharma Boulder & CordenPharma Colorado (Boulder, CO, USA) in June 2014. Brian is an API executive with extensive experience developing and implementing strategy and building high performing teams. He has broad experience at establishing and improving operations in development, manufacturing, supply chain, sourcing and procurement in API and finished Drug Product. Brian graduated from the University of Delaware with a degree in Chemical Engineering and has an MBA in Finance from Loyola College. Prior to accepting his current position with CordenPharma Colorado, he served as the Vice President, API Strategy at Hospira. Brian also worked for Roche Colorado Corporation as Director of Manufacturing from 1991 – 2002. Fabio Stevanon became Director, Global Injectables Platform, CordenPharma International in January 2018. Fabio joined CordenPharma Caponago in July 2009, after previously being with AstraZeneca, where he garnered extensive experience as Logistic & IT Director over 15 years in the area of Injectable product operation. Furthermore, he was involved in supporting AstraZeneca’s supply-sourcing management team for a number of core Injectable products contracted to CMOs. Additional areas of experience included lean strategic program and business process engineering. Fabio received an industrial engineering degree from Politecnico Milano and started his industrial career in the automotive industry, where he worked in supply chain, operations and towards the implementation of lean manufacturing techniques. Jason Bertola joined CordenPharma in 2016 as Director, Global Highly Potent & Oncology Platform, CordenPharma International. Jason began his career in pharmaceutical process development first with SAPEC (now Cerbios) and then Hoffmann-La Roche before transitioning into business development and sales. He brings over 24 years of diverse leadership experience in the pharmaceutical industry with extensive expertise in contract development and manufacturing, strategy development and business transactions. Prior to joining CordenPharma, Jason was Vice President of Business Development & Strategy for Dishman. Jason holds a B.S. in Chemistry and an MBA from Fairleigh Dickinson University. Dr. Macniell Esua joined CordenPharma in April 2016 as Chief Compliance Officer, CordenPharma International. Macniell brings over 15 years extensive experience in diverse leadership functions in the pharmaceutical industry including quality assurance, quality control, manufacturing, pharmaceutical development and compliance management for a wide range of dosage forms, finished products and Active Pharmaceutical Ingredients. He has worked for number of multinational companies such as Hameln Pharmaceuticals, Ranbaxy Ltd., STADA AG, Solvay Pharmaceuticals and Sun Pharma Ltd. in various positions: laboratory head, quality control head, site quality assurance head and most recently, head of quality central southeast Europe. Macniell is an experienced auditor qualified in accordance with Art.22 d. 75/319 EEC, with extensive knowledge in quality and regulatory compliance in major global markets. Macniell holds a PhD in pharmaceutical sciences from the University of Leipzig, Germany. Dr. Michael Quirmbach joined CordenPharma in October 2014 as Chief Business Officer, CordenPharma International. Prior to joining CordenPharma Michael held positions with increasing responsibility at Siegfried AG, Dr. Reddy’s, Solvias AG, Speedel, and Albany Molecular Research (AMRI), where he garnered extensive experience in business development, marketing, and sales in the CDMO arena. Michael studied chemistry at the Technical University of Clausthal (DE) and the University of Salford (UK) before completing his PhD at the the Max Planck Research Group “Asymmetric Catalysis” at the Institute for Organic Catalysis Research in Rostock (DE). Following a postdoctoral fellowship at both the University of Colorado, Boulder (USA) and the University of Pennsylvania (USA), Michael completed his MBA from La Salle University in Philadelphia (USA) in 2005. Dr. Walter Kittl is the Chief Operating Officer, CordenPharma starting February 2018. With over 35 years of experience in the pharmaceutical, CMO and fine chemical industries, Walter brings a holistic understanding of pharmaceutical manufacturing operations resulting from a multi-faceted career beginning as a Project Manager in R&D and manufacturing at DSM Fine Chemicals. Walter then held various senior management positions with increasing levels of responsibility at Roche, where he became Site Manager of the Basel Chemical Manufacturing site, and Siegfried AG, where he was President & General Manager of Siegfried USA before becoming the Head of Global Technical Operations. Walter is an Austrian citizen and holds a Ph.D. in Chemistry from the Leopold-Franzens University of Innsbruck, Austria.